People set up bonfires to celebrate many occasions and other important festivities. Likewise, they are important because they serve as a good source of heat, providing people warmth and comfort especially during the extremely cold winter season. People can also use them to give light at night. However, it takes proper knowledge and experience to master the art of making bonfires. 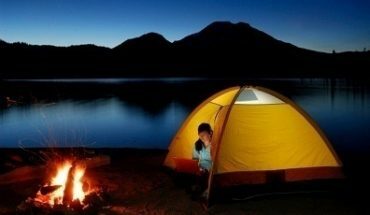 Enjoy the outdoors in comfort and convenience with the aid of these reliable bonfire tips. Such controlled fire must contain only the right materials. It must not have hazardous elements in order to ensure the health and safety of everyone. Furthermore, do not put things that are bad for the environment. It is always best to use wood, leaves and other natural materials. Never put things that are environmentally hazardous like aerosols, especially those with chlorofluorocarbons. In addition, do not put household garbage because it may contain batteries, light bulbs and glasses, all of which are dangerous when thrown right into the fire. Choose firewood, preferably the dry ones. It is also good to put in dry leaves because they are excellent materials for making fire. It is also important to be prepared when starting bonfires. Fire retardants such as extinguishers and the like must be available in case the fire goes out of control. Of course, proper knowledge in using these fire retardants is needed. Moreover, it is better to build controlled fire near fire hydrants. Put in charge only one person to control the fire in order to limit the possibility of multiple injuries and casualties in case disaster strikes. It is always best to follow safety procedures when planning to start a controlled fire. In the past, unsafe practices have compromised the safety of many people. For these reasons, it must be the priority of people to keep themselves safe at all times. Be extra careful when handling this kind of fire because compared to a campfire, it lasts longer. People usually use this when there are huge meetings and other special gatherings that are held at night. Accidents can happen almost anytime and anywhere. Because of this unpredictability, it is very important to abide by safety measures at all times. Never let people under the influence of alcohol to go near the fire because their judgment is easily compromised. They are more vulnerable to accidents. In addition, never place flammable materials near the fire as they can explode once heated. Keep environmentally unsafe materials, trash and plastics away. Lastly, always have water and fire extinguisher in case the fire goes out of hand.